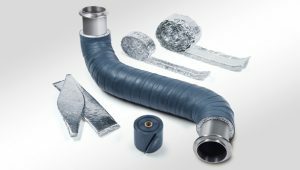 Thermolastic® is a flexible thermal insulation wrap system primarily used on exhaust down pipes in diesel powered vehicles with emission control systems. 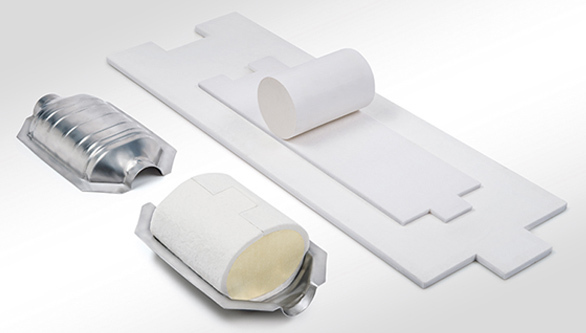 Thermolastic® insulation is uniquely designed to increase the efficiency of SCR and/or DPF units, by capturing the heat generated by the exhaust gas and conserving it within the product layers. 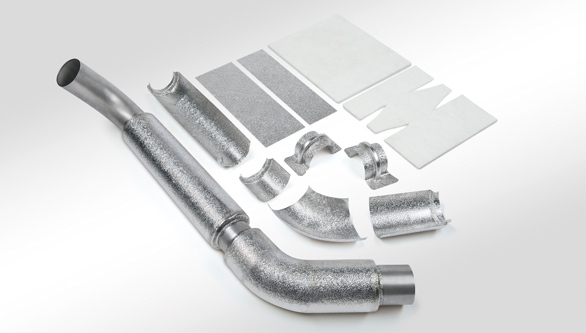 Thermolastic® can also be used as a heat shield for health and safety purposes or for protection to near by vulnerable components. When correctly fitted, a Thermolastic® system will be fully resistant to the ingress of water, fuel oil, salt spray and solvents. 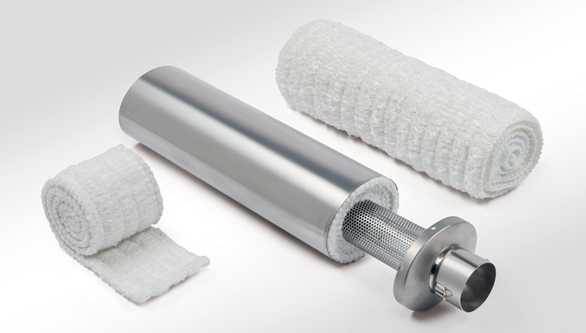 Proven durability over 10 years with more than 250,000 installations worldwide. Weatherproof and resistant to road debris. Fully adaptable – it will suit most exhaust pipe configurations. 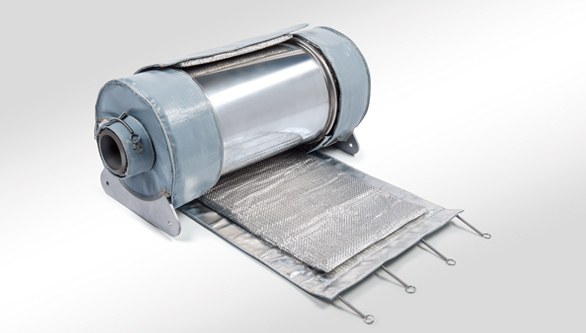 Wrap-type installation makes Thermolastic® especially suited to retro-fit application directly on the vehicle. Can be used for product prototyping and smaller OEM production runs. In-house wrapping service available in UK, Germany, Italy and USA.